Planning meals is so important to staying on track with your weight loss goals, and crockpot meals can be very helpful. You can even program or turn your crockpot on before bed to have lunch already prepared the next morning. Summer peppers are in now and fajitas are a flavorful way to incorporate them into your menu. 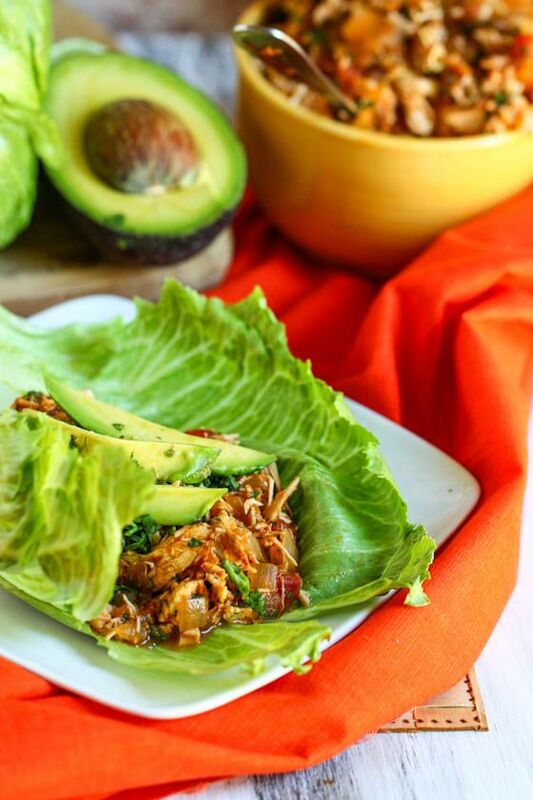 Using lettuce instead of tortillas as a wrap, you can still enjoy Mexican flavors without compromising your waistline. Eating the fajitas with a fork is also a perfect option, especially if you are taking leftovers to work. This recipe makes 8 servings. Each meal includes one serving of protein and two servings of vegetables (one cup cooked). If you include avocado or black olives, you can cover your fat, as well. In the crockpot, toss together the chicken, tomatoes, chilies, peppers, onions and garlic. In a small bowl mix together the chili powder, cumin, paprika and sea salt. Sprinkle over the chicken mixture and stir gently. Assemble fajitas by placing the mixture into a lettuce wrap (or place into a bowl). Squeeze lime wedges over fajitas and add avocado slices or black olives.